Collaboratory in The Chronicle of Higher Ed! 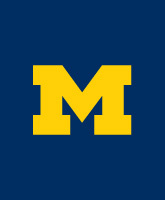 The August 20 edition of The Chronicle of Higher Education Almanac highlighted the Michigan Humanities Collaboratory as an example of how the University of Michigan is one of the top financial supporters of humanities research in higher education. The following review appeared in the August 2018 issue of CHOICE. In 724, a teenage Korean monk named Hyecho sailed from China to India on a pilgrimage of almost the entire Buddhist world: from the “eight great” pilgrimage sites of India through present-day Pakistan, Afghanistan, and Iran. When he returned to China in 727, Hyecho had traveled farther than any other Buddhist pilgrim of his time. 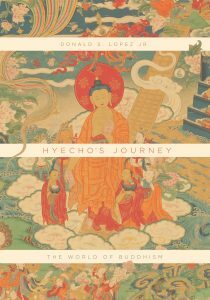 Hyecho’s Journey comprises stand-alone chapters on the history and Buddhist significance of a dozen places in Hyecho’s world. Each chapter concludes with an analysis of two related artworks from the Smithsonian’s Sackler-Freer museums of Asian art, so the volume complements Encountering the Buddha,” the Sackler’s exhibit of Buddhist art (the exhibit runs until late 2020). However, Journey is not a simple catalogue, despite its glossy pages and color plates. Eminent scholar of Buddhism Donald Lopez (Buddhist and Tibetan studies, Univ. 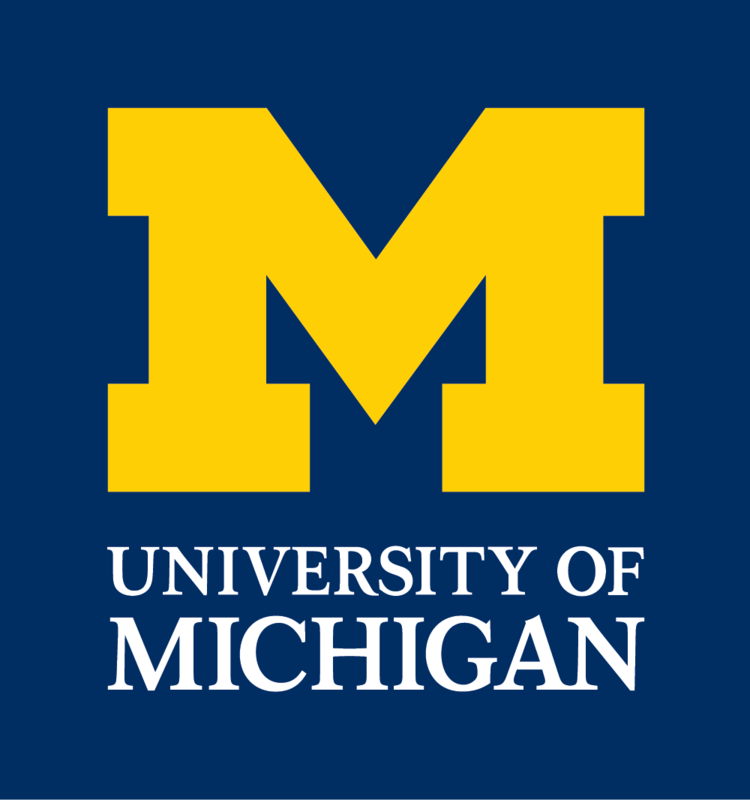 of Michigan, Ann Arbor) collaborates with a team of art historians and archaeologists to produce an unusual, cross-disciplinary treatment of Buddhist doctrine, mythology, ritual, and history. Scholars of material religion and art history will especially welcome the expert synthesis of textual with visual sources and Buddhism scholars the detailed introduction to Hyecho’s life and fragmentary travel journal. 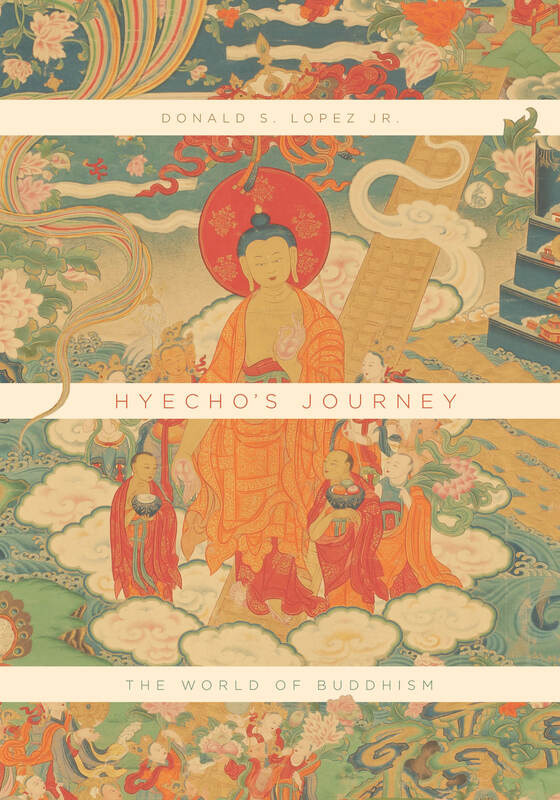 Casual readers will enjoy retracing Hyecho’s steps with Lopez’s erudite yet engaging narrative as guide. Congratulations to Maxim Aleksa (BS, RLL & Computer Science, 2017), who currently works as a software engineer at Apple in Cupertino, California. Maxim worked as part of the Africa to Patagonia team in Spring 2017, during the Proposal Development phase (shortly after he completed his BS), to work as a specialized consultant on the aesthetics and narrative behind our Africa to Patagonia Collaboratory website. Maxim worked closely with Ishan to develop the finer details of the website, and to ensure the collaborative approach was clearly explained to a broader public. During his first year at Apple, Maxim has been able to capitalize on the programming skills he acquired through the lab and Collaboratory research to expand in his new position, and is now developing applications such as Pages, Numbers, and Keynote. Congratulations to Libby Garno (BA, Spanish & International Studies, 2016), who has just been awarded a second consecutive Fulbright grant to work as an English Teaching Assistant in Tunja, Colombia for AY 2018-2019. 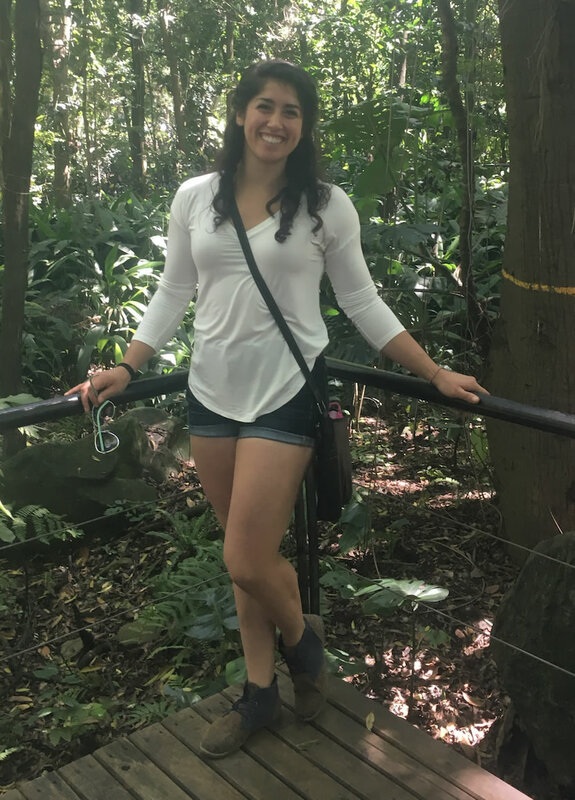 Libby will work as a Senior English Teaching Assistant, with responsibilities such as participating in language teacher training, determining education policy, and assuming managerial responsibilities at the Universidad Santo Tomás. It should be emphasized that Libby’s accomplishment is a pretty remarkable one — Fulbright states that only in exceptional cases will they award grants to applicants in two consecutive years. Bravo! Congratulations to Claire Laing (BA, Spanish & Linguistics, 2017), who was recently accepted to study the Speech-Language Pathology major in the Department of Speech-Language Pathology and Audiology in the Hunter College Graduate Program (NYC). Claire had a difficult decision when it came to deciding where to pursue graduate work: she applied to the most competitive programs in NYC (where she is from), and was accepted to all of them! Claire‘s first experience with Spanish Linguistics was in Fall 2015, when she enrolled in Spanish 298 with Lorenzo Garcia-Amaya. 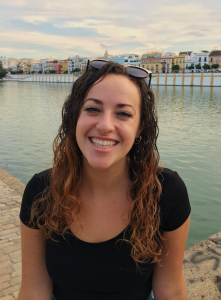 Since then, she enrolled in multiple advanced Spanish Linguistics courses in RLL (including an Independent Study in Winter 2017), and participated in the CGIS study-abroad program in Granada, Spain. Claire started working in the lab in Winter 2017. For those of you who are new to the From Africa to Patagonia Collaboratory project, Claire was a key player during the Proposal Development phase (May/June 2017), when she collaborated with Mallory Fuller to analyze the back vowels /a o c/ of the bilingual speakers. 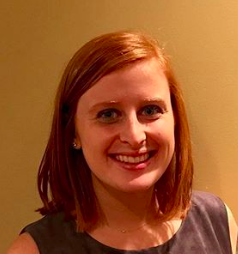 Congratulations to Colleen Buckley (BA, Spanish, 2018), who recently accepted a full-time position at Beghou Consulting in Chicago, IL (working as Associate Consultant). Colleen’s first experience with Spanish Linguistics was in Fall 2016, when she took Spanish 298 with Nick Henriksen, PI for the From Africa to Patagonia project. Following, she enrolled in multiple advanced Spanish Linguistics courses in RLL, participated in two study-abroad programs in Spain during summer 2017 (including in Salamanca with Lorenzo Garcia-Amaya and Nick Henriksen), and completed an Independent Study on sound change on Andalusian Spanish in Fall 2017. Colleen started working in the lab in Summer 2017. She has been an indispensable member of the Collaboratory project, specifically in her roles as labeller/checker/double-checker in the massive /p t k b d g/ corpus project. She is one of the most organized members of our team, and we will miss her greatly. Congratulation Colleen! 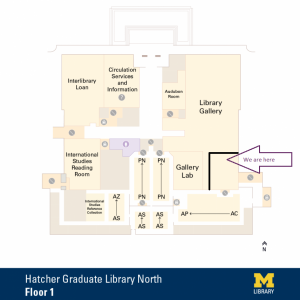 Hyecho’s Journey is one of the first projects funded by the Humanities Collaboratory. LSA Magazine has highlighted the project in the Fall 2017 issue. Read the story about a mysterious monk, a multi-city research project, and the future of the humanities here. You can also enjoy Hyecho’s Journey through their app, just search on Hyecho’s Journey in the Apple App store. Argentine Afrikaners Team in the News! 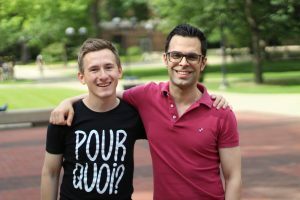 Our proposal development grant team, “Agentine Afrikaners Interrogating Hybridity in a Unique Diasporic Community,” with Nick Henriksen as the PI was highlighted in The Michigan Daily on June 12. Proposal Development Applications Now Available! Proposal Development Applications for Spring Term 2017 funding are now available. See the Proposal Development Funding page for guidelines, questions, forms and evaluation criteria.